BiPolar EClip™ from E-Stim Systems. The clip features a conductive gold plated electrode from high electro conductivity when gripping. Clamp the grips to sensitive parts of the body using the adjustment screws for electro stimulation. Comes complete with a single clip and 1.5M connection cable with 3.5mm jack. If you are seeking to use 2 clips on the same person, it is advised for use with control unit with isolated outputs only. 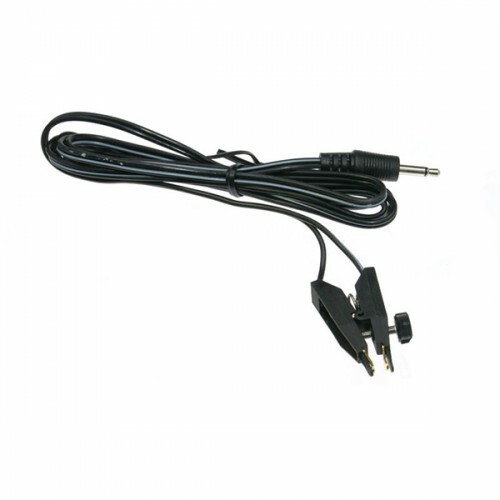 Metric Max Opening: 9mm, Overall length: 42mm, Cable Length: 1.5M, Weight: 39g, Connections: 3.5mm Jack Socket.